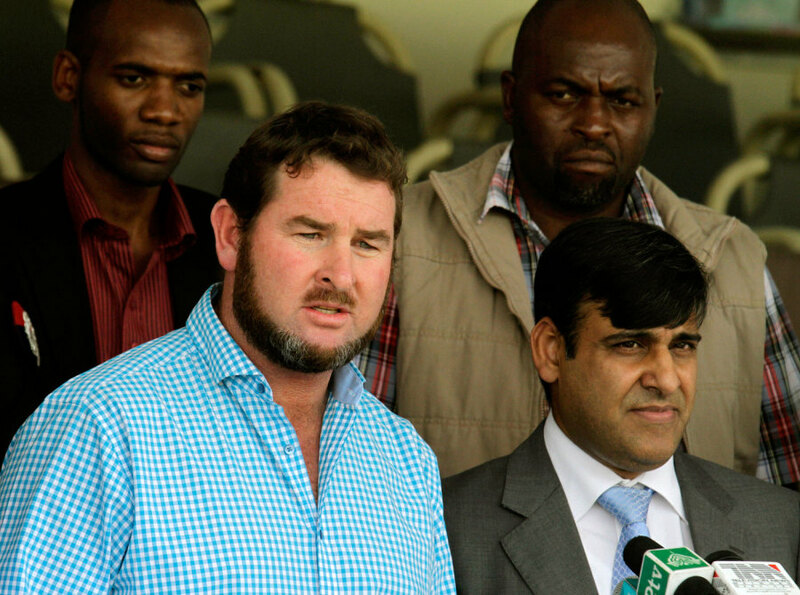 Alistair Campbell has resigned from his position as Zimbabwe Cricket's director of international cricket and commercial affairs. Campbell officially tendered his resignation four days ago, but asked in his letter to ZC chief executive Wilfred Mukondiwa for his exit from the position to be back-dated to October 1, allowing him to serve his three-month notice period by the end of the year. "Dear Wilfred, It is with great sadness that I tender my resignation as Director International Cricket and Commercial," Campbell's letter reads. "In the interests of getting this done as amicably as possible, I am suggesting that this (my resignation) be back-dated to 1st of October 2015 to allow for the three-month notice period to end 31st December 2015. "I do not think that it is in the interests of either parties for me to be in the office for that long, therefore I would like to complete the hand over by the 15th of November 2015 thus allowing my successor ample opportunity to get his feet under the desk." Amid a general administrative reshuffle, Campbell, 43, had been appointed ZC's managing director, cricket in January this year under former ZC board chairman Wilson Manase. Campbell's appointment came days after Dav Whatmore was named head coach of the national side. Campbell, a former national captain who played 60 Tests and 188 ODIs for Zimbabwe, had previously held the positions of chief selector and chairman of the cricket committee, during which time he helped to guide Zimbabwe's return to Test cricket in 2011. More recently, he was instrumental in setting up Zimbabwe's tour to Pakistan in May as well as arranging for home series against India, New Zealand, Pakistan, Ireland and Afghanistan, who are currently playing a limited overs series in Bulawayo. But Campbell was controversially accused of racial bias by former national captain Prosper Utseya in a letter to the ZC Board in May this year, with Utseya claiming that Campbell intervened personally in his non-selection at the World Cup. Utseya also claimed that Campbell's decision to give coaching roles to former players Heath Streak and Grant Flower, who have since moved on to coaching roles with Bangladesh and Pakistan respectively, were racially motivated. ZC appointed a committee to investigate the allegations, and it is understood that both Utseya and Campbell's legal representatives have presented their cases to the committee. Campbell's position as managing director of cricket was then changed to a new position as director of commercial affairs, international and franchise cricket amid further restructuring in June. However, his administrative powers were greatly reduced soon afterwards following the ZC annual general meeting in August, when Manase was replaced by current ZC Chairman Tavengwa Mukuhlani. It had been expected that Manase, who had held his position on an interim basis after Peter Chingoka's departure last year, would stand uncontested for re-election at the meeting, but Mukuhlani announced his running for the role on the morning of the meeting, and then succeeded Manase. After Manase's departure, Campbell was stripped of his franchise cricket and commercial portfolios, leaving him to run only ZC's international cricket affairs, and his influence within the organisation dwindled considerably. The running of franchise cricket was transferred to the new managing director for development, Givemore Makoni, who had previously been convenor of selectors. Commercial affairs were transferred back to Esther Lupepe's office. In his resignation letter to Mukondiwa, Campbell also claimed to be owed money by ZC, and asked to be paid before he leaves his position. "You will also be aware that I am owed money by Zimbabwe Cricket. I would appreciate it if this matter is dealt with prior to my departure," wrote Campbell. "Please, would you kindly ask the Human Resources Department to finalise my exit package as soon as possible so as to achieve the specified exit timeline. "I would like to take this opportunity to thank Zimbabwe Cricket for the opportunity and I wish them well in the future."